"Microsoft PowerPoint Template and Background with weak chain breaks open with subtle golden light flare" Equalize the odds with our Weak Chain Link Business PowerPoint Templates And PowerPoint Backgrounds 0711. Better the chances of your ideas working. Gain confidence in your ability to achieve. Our Weak Chain Link Business PowerPoint Templates And PowerPoint Backgrounds 0711 drive doubts away. 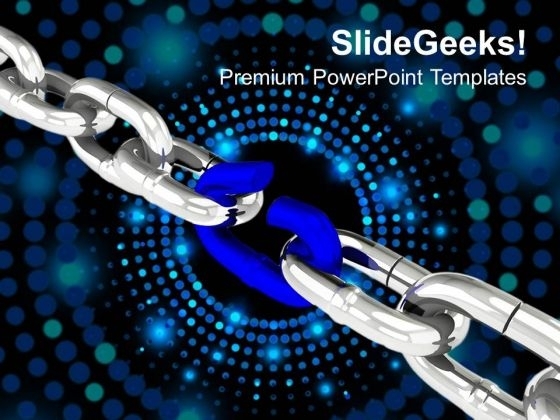 We present our Weak Link in Chain Business Security PowerPoint Templates PPT Background for Slides 1112.Use our Chains PowerPoint Templates because; there are various viable propositions available to further your commercial interests. Use our Security PowerPoint Templates because, Set out the goals and your plan of action for them. Use our Business PowerPoint Templates because, are the tools that helped most of us evolve. Use our Marketing PowerPoint Templates because, the basic stages are in place, you need to build upon them with our PowerPoint templates. Use our Finance PowerPoint Templates because, Signpost your preferred roadmap to your eager co- travelers and demonstrate clearly how you intend to navigate them towards the desired corporate goal. Use these PowerPoint slides for presentations relating to "Weak chain link, business, marketing, chains, finance, and security". The prominent colors used in the PowerPoint template are Blue navy, White, Gray Break out of the cocoon with our Weak Link In Chain Business Security PowerPoint Templates Ppt Background For Slides 1112. Let your thoughts take to the air. 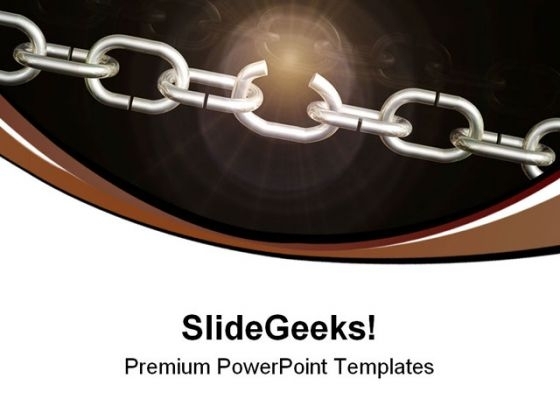 Our Weak Link In Chain Business Security PowerPoint Templates Ppt Background For Slides 1112 are a great feeder line. They keep the energy coming to you.